The National Transitional Council adopts new laws. Assets belonging to the Gaddafi family and officials in his regime are seized. The Muslim Brotherhood and Islamic extremists determine the country's political line. Tripoli (AsiaNews/Agencies) - The Islamisation of Libya puts national reconciliation in jeopardy. Yesterday, the National Transitional Council (NTC) adopted a number of laws that include life in prison for glorifying Moammar Gaddafi, insulting Islam or denigrating the 17 February Revolution. For the Libya's rulers, the country is still at war and such restrictions are needed to prevent it from beings destabilised ahead of next June's parliamentary elections. According to one law, disseminating information that harms state-building is an insult to the people that deserves incarceration. Another law seizes the assets of the late dictator's relatives and those of former regime officials. 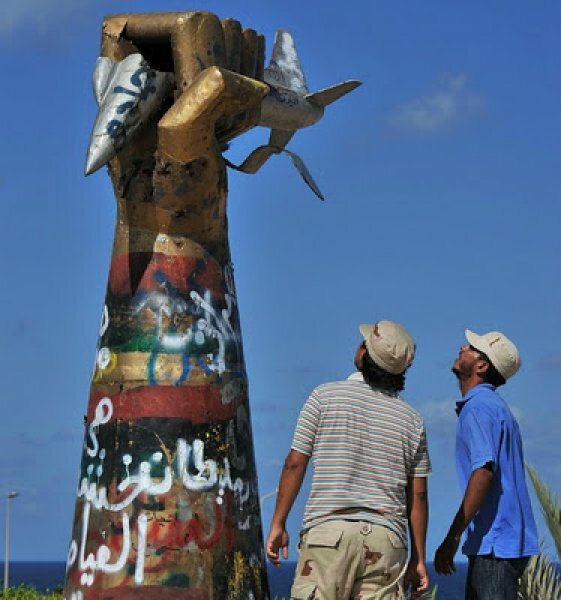 Experts note that since Gaddafi's death and the capture of his son Saif al-Islam, Libya has fallen to Islamist extremists inside the NTC who want to impose Sharia on the country. At the same time, Libyan villages and towns are flooded with weapons, local sources say. As insecurity persists, people take the law into their own hands. In the prevailing legal and law enforcement vacuum, organised criminal gangs are taking advantage of the situation to traffic in food, weapons and money, as well as control aqueducts. In order to stop extremism and tribal revenge, NTC leaders issued a law last week that bans political parties based on religion, tribe or ethnicity. Groups close to the Muslim Brotherhood have come out against it and tried to get the NTC to change the law. Like in Morocco, Tunisia and Egypt, the Muslim Brotherhood and Salafists are imposing their line. Outlawed under the old regime, they quickly took over oil installations, presenting themselves as strategic partners to foreign companies brought to Libya by Gaddafi. Backed and funded by Qatar and Saudi Arabia, the Brotherhood will run in the June election. Given its organisational strengths, it is likely to win.